NASA has lost its reserved time at a range in Hawaii to test a saucer-shaped vehicle that one day could help spacecraft get on the Red Planet safely. The Low-Density Supersonic Decelerator (LDSD) was supposed to take to the air this month, but bad weather means that officials won’t get to test the vehicle’s flight and landing abilities before their range time expires tomorrow (Saturday). The plan had been to test LDSD’s new inflatable technology, which would put a buffer around its heat shield to slow the speed down when it was still high in the atmosphere. 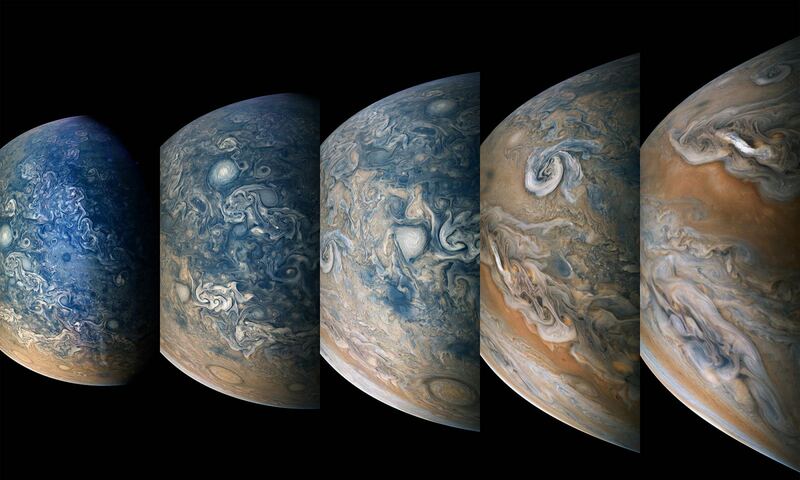 NASA wanted to send the test device up on a weather balloon to 120,000 feet (36,600 meters) before releasing it for a short powered flight to 180,000 feet (54,900 meters). 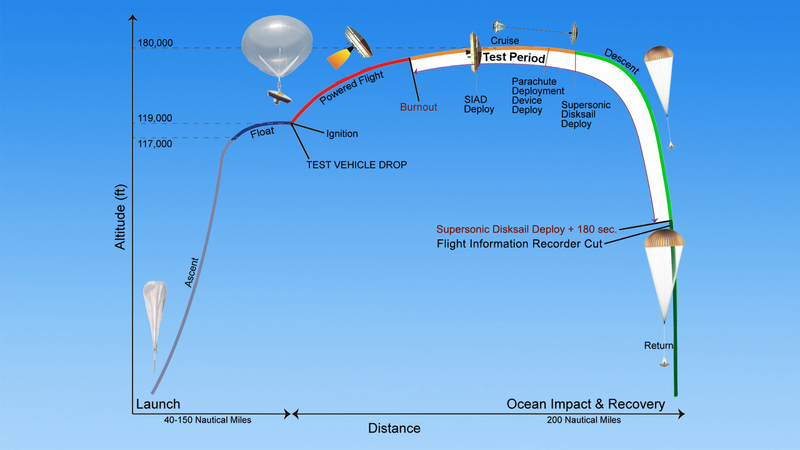 LDSD would then inflate the device and subsequently, open up a large parachute for the drop to Earth. Now it looks like that won’t happen until later this month. While officials don’t know when they will next get time at the U.S. Navy’s Pacific Missile Range in Kauai, Hawaii, they’re hoping to start the testing near the end of June. NASA emphasized that the bad weather was quite unexpected, as the team had spent two years looking at wind conditions worldwide and determined Kauai was the best spot for both the wind and also doing the test over the ocean, away from where people live. If the technology works, NASA says it will be useful for landing heavier spacecraft on the Red Planet. This is one of the challenges the agency must surmount if it launches human missions to the planet, which would require more equipment and living supplies than the rover missions currently roaming the Martian surface. For more information on LDSD, check out this past Universe Today article and the NASA website.